If you are caring for a loved one and looking for a professional caregiver to help you, Value Care can match your loved one with a compassionate and qualified caregiver. We are a locally owned company and have been in operation since 2007. Over the years we have developed several processes to find the best caregivers and match them with people in need. When it comes to rigorous screening procedures and background tests, look no further than our FIVE STAR PROMISE to you. We go well beyond the more basic legal screenings required by the state of Florida. At least one year of prior experience in-home health care. Solid client and/or health care industry references. To be able to move clients safely between seating, beds, wheelchairs, etc. 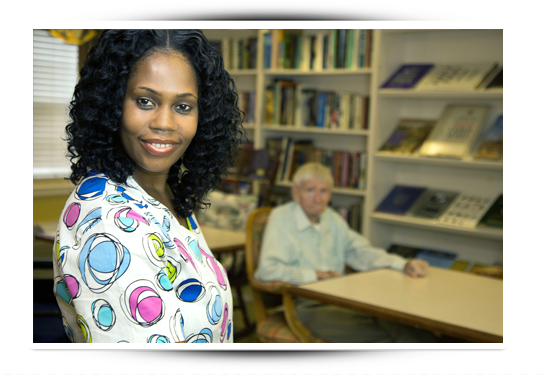 At Value Care we genuinely care about our clients and want to match them with the best possible caregivers in Florida. Contact Us and find out how we can help you and why we guarantee our ability to match caregivers and clients through our First Day Satisfaction GUARANTEE. We developed these extra tests so we can confidently match caregivers and clients. Then we use our Care Match Program to find out each client’s individual care needs. Only then do we refer caregiver services to them based on those needs. Whether you are looking for a caregiver for around the clock care or a caregiver for a few days a week, we can help you. Consider Us for your care needs. Value Care keeps your costs lower so you can save 25% or more off average industry prices with our care referral services. We have no night or weekend surcharges and no minimum number of service days. Our motto is Pay Less, Get More Care!